Several years ago, The Southport School, and Soheil Abedian (from the Sunland Group), worked together to raise enough money to build a soccer field at the school we support in the slums of Siem Reap, Cambodia. 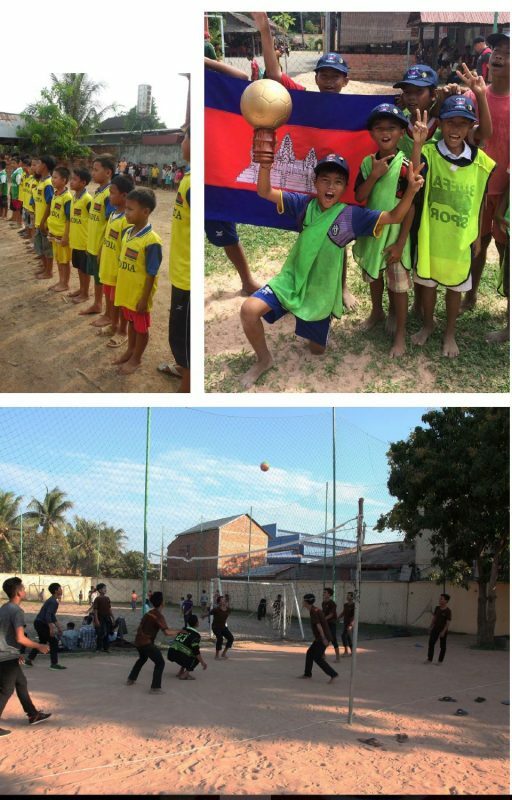 Feeding Dreams Cambodia used the field to encourage healthy play and introduced a PE curriculum – unheard of in Cambodia! Unfortunately, the floods in 2017 washed away the field and a lot of the ground around the buildings. Once again, the TSS community pulled together and we raised almost $20,000 last year, so the land could be raised a metre and proper drainage put in. The new soccer field is amazing and after school hours, the founder of Feeding Dreams’ (Kerry Huntly) son trains boys of all ages to play in locally organised competitions, encouraging them to aim for the regional Siem Reap team or even the Nationals. Most of these youths have had no education and live difficult lives, trying to find poorly paid labouring jobs to feed their families. The camaraderie of the football field has changed their lives! One thing they cannot afford is Soccer Boots and with our season starting and many boys grown too big for their boots, they would REALLY appreciate any used boots in reasonable condition – particularly sizes 38-44. A group of staff and boys are going over in June so if you have any unwanted boots, please could you drop them at the Prep School Office or Student Services at the Senior School.